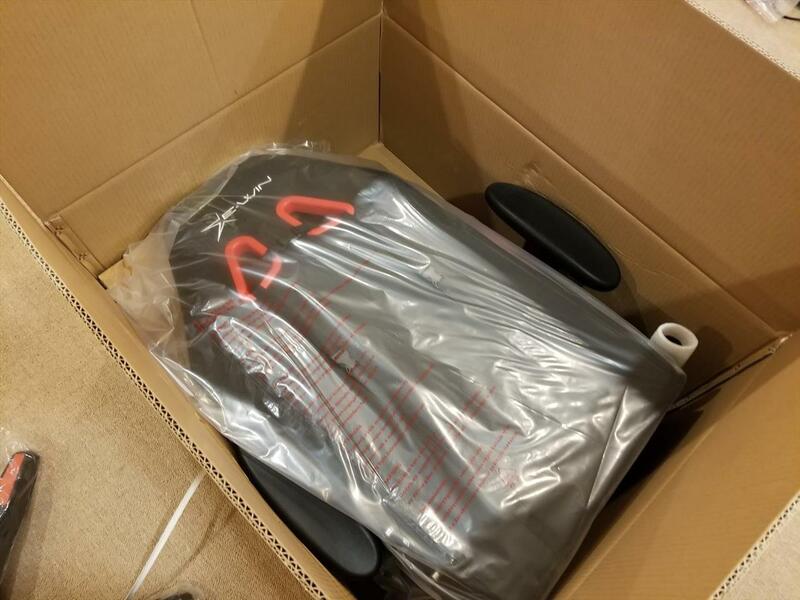 There are many gaming chairs on the market and I work with a lot of folks that have purchased one recently. 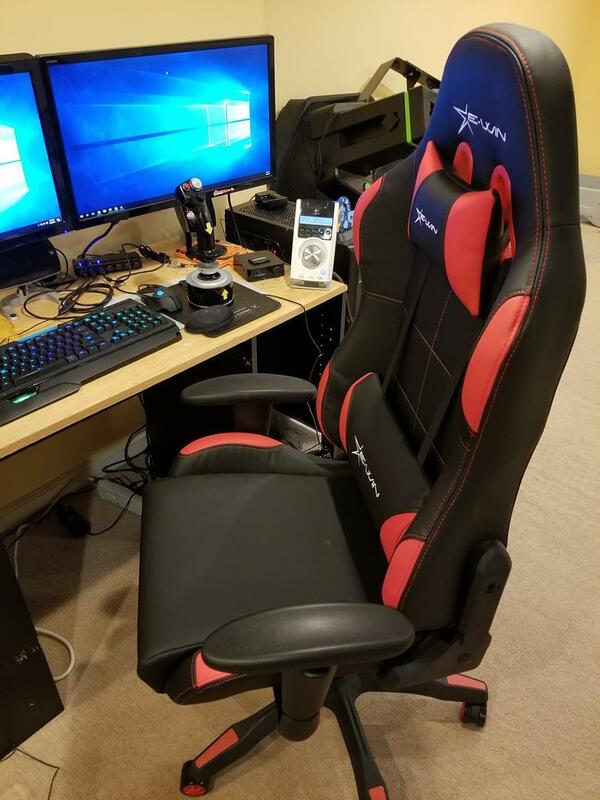 Being an active gamer myself, I want to be comfortable for hours-long sessions, so spending a good amount on a solid gaming chair is a pretty good investment. 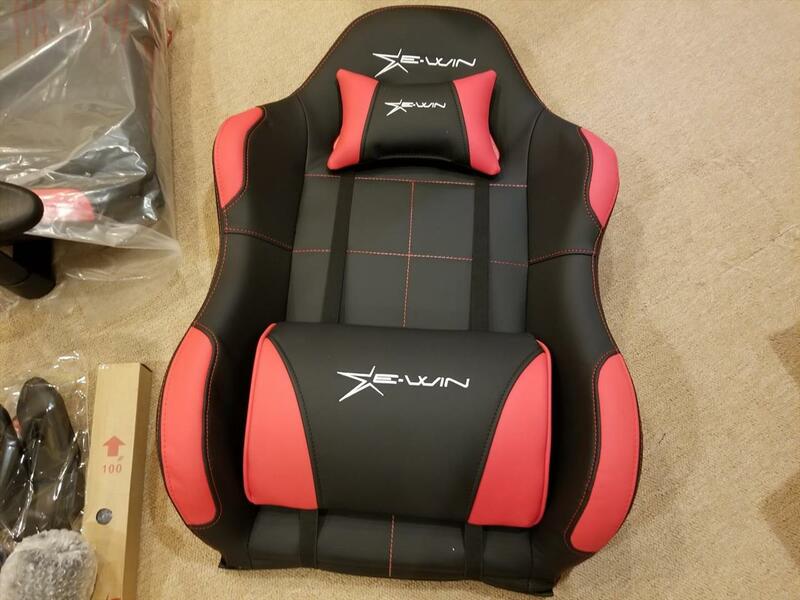 I was surprised at the prices EWin is selling this Racing gaming chair. Compared to some of their competitors, the prices are really competitive. So, do they stand up to the more expensive offerings? 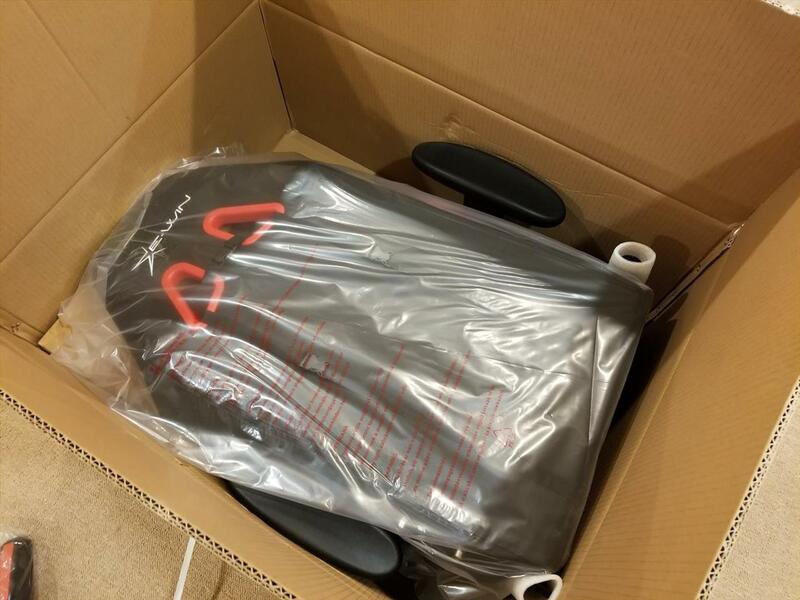 Ewin sent me a Calling series chair in red and black. 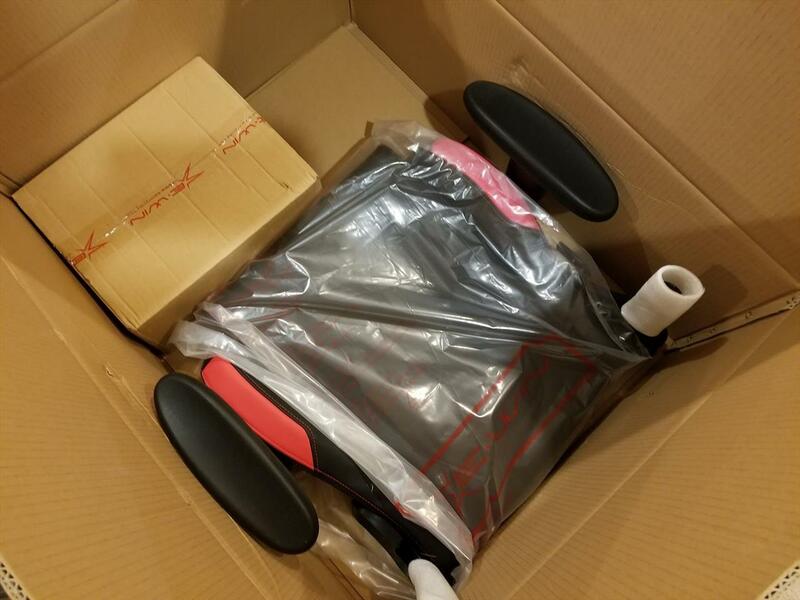 The chair came in a setup that was easy to put together. In fact, the instructions included directions that didn’t need to be followed because some steps were already done. 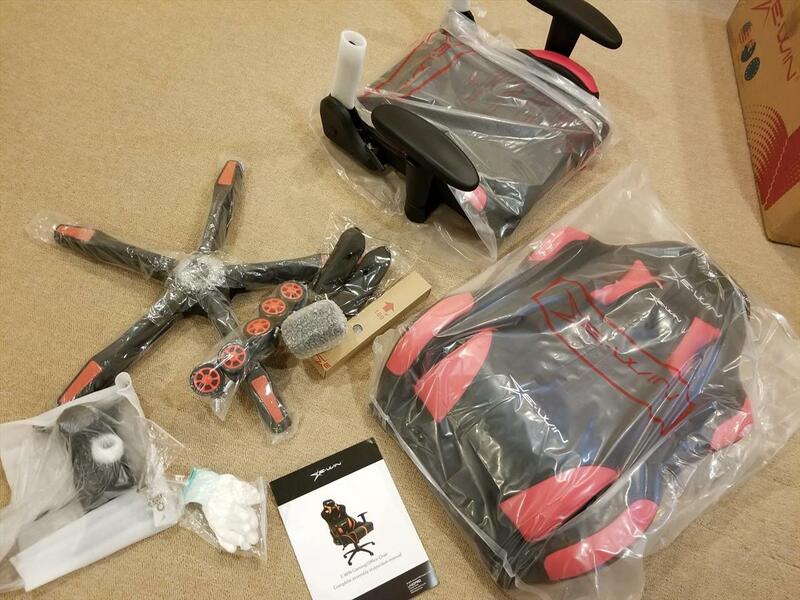 Putting the chair together took about 20 minutes. 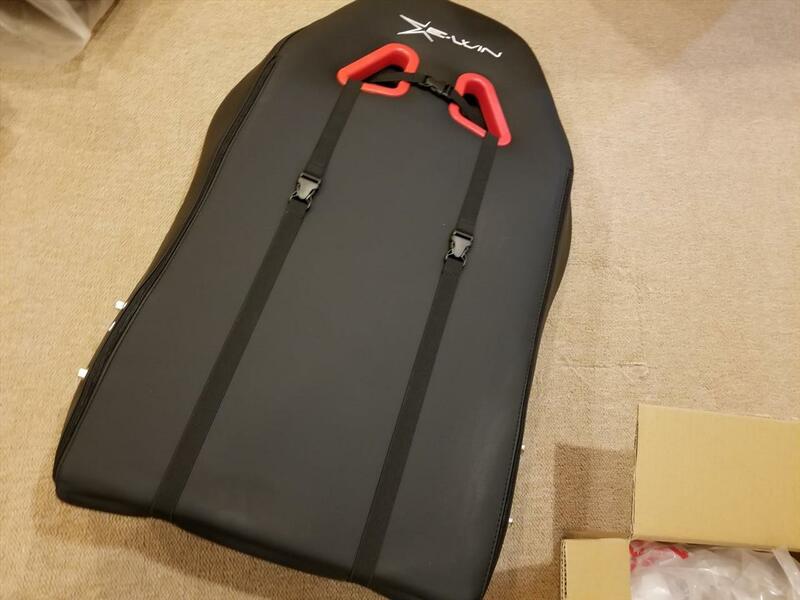 First I connected the back, which already had the lumbar support and head pillow attached, to the seat with two bolts on each side. 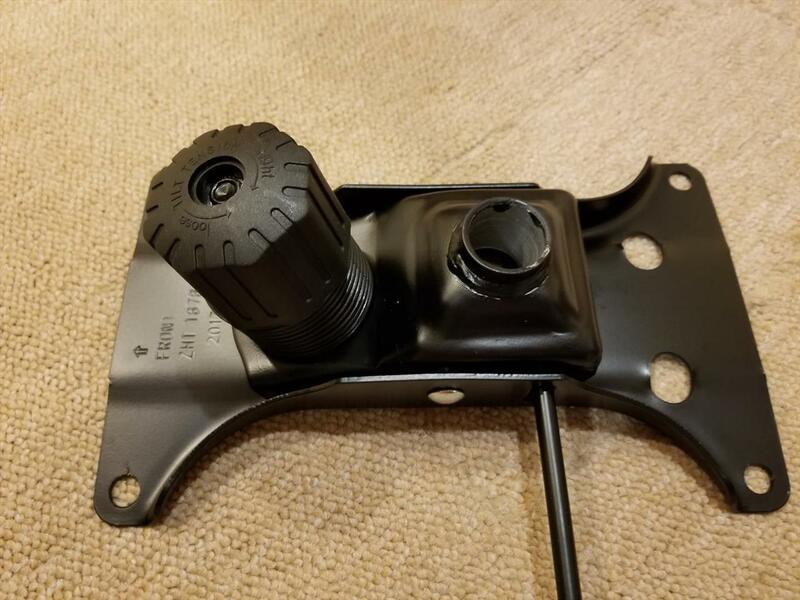 After attaching the side panels to hide the bolts, I screwed in the base that held the height adjustment and leaning tension dial. 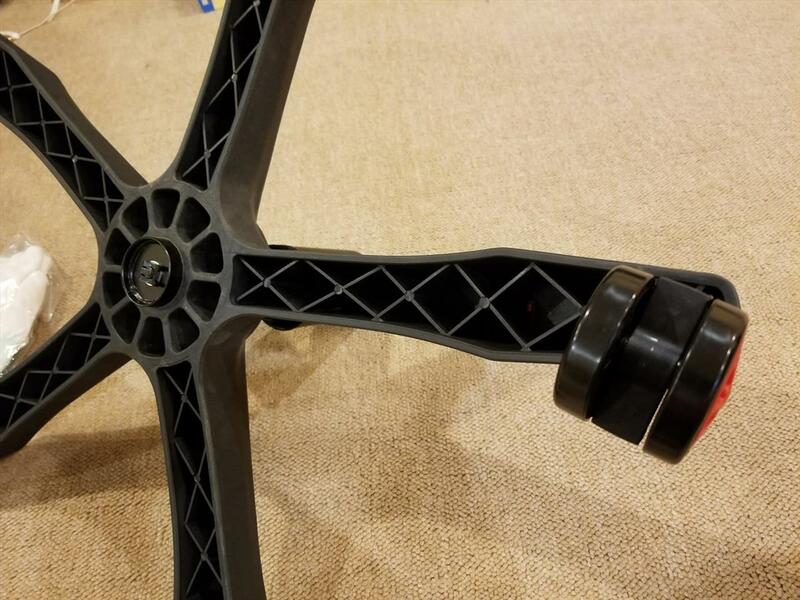 Putting in the wheels on the five star base, the hydraulic piston was put into place and then the seat on top. That was pretty much it. Pretty simple, I must say. Covered in bicast leather or polyurethane, the Calling Series has a nice soft leather feel to it, but can get a little warm when sitting for a while. I put the chair in my basement office, which is cool throughout the year, so I didn’t feel it as much. But after about 20 minutes, the seat did seem to retain some heat. It is reminiscent of my memory foam mattress, but it really didn’t bother me too much sitting in it for long periods. Just know you’ll probably feel the warmth if you pay close attention. The seat is built on a steel frame so it’s made to take a lot of weight and punishment. 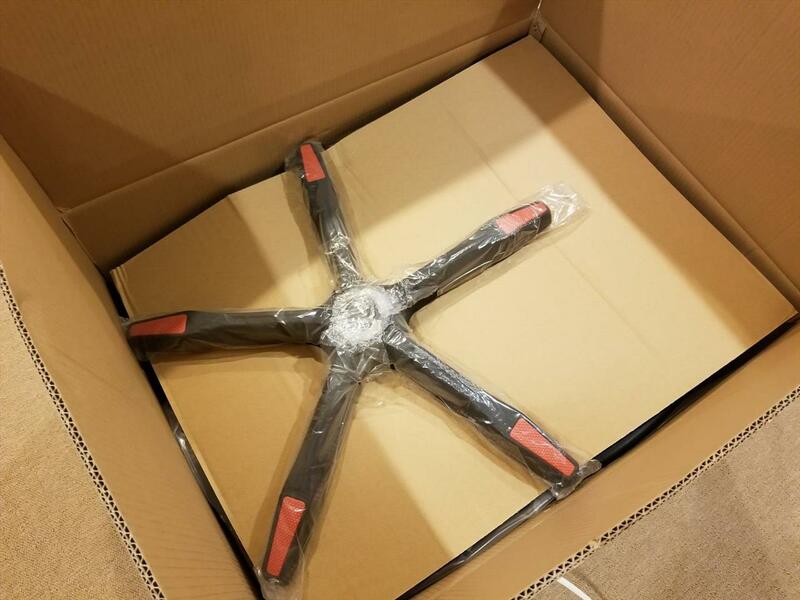 On top of the frame is a very solid high-density foam that’s not too firm. The side of the seat area flows up so it feels like it’s hugging your legs. 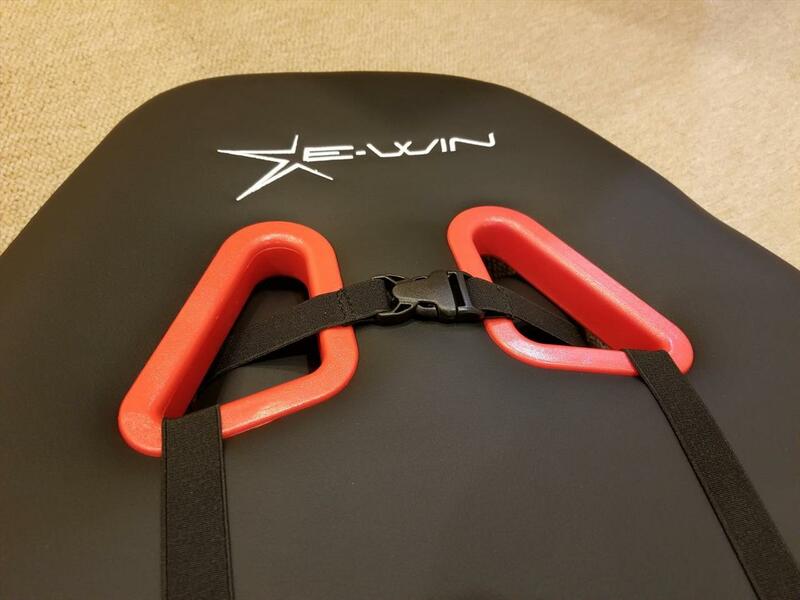 The same concave shape applies to the back of the seat as well. As the name implies, the shape is modeled after car racing seats. Each arm of the Calling series has vertically adjustable armrests. 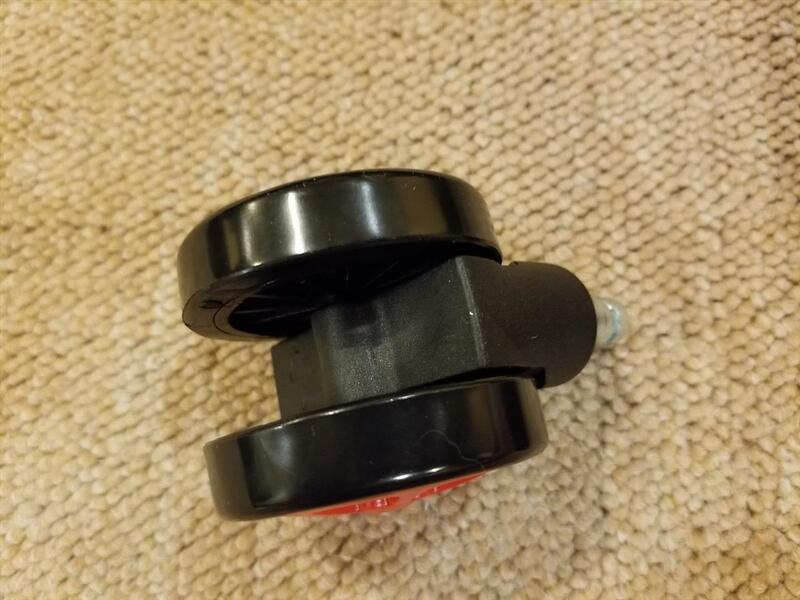 Just hold down a button and you can slide it up and down. 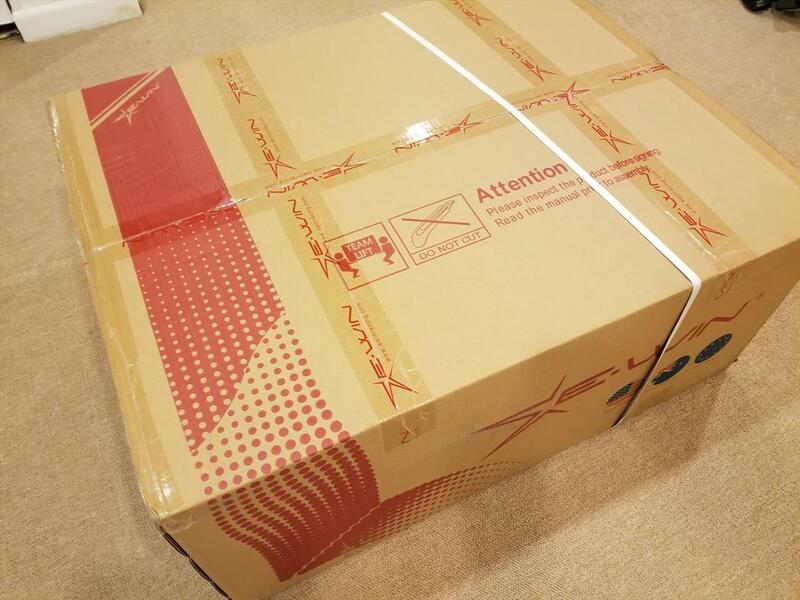 The top is concave as well, so it fits your arms nicely when you rest on them. I do wish they were padded though. 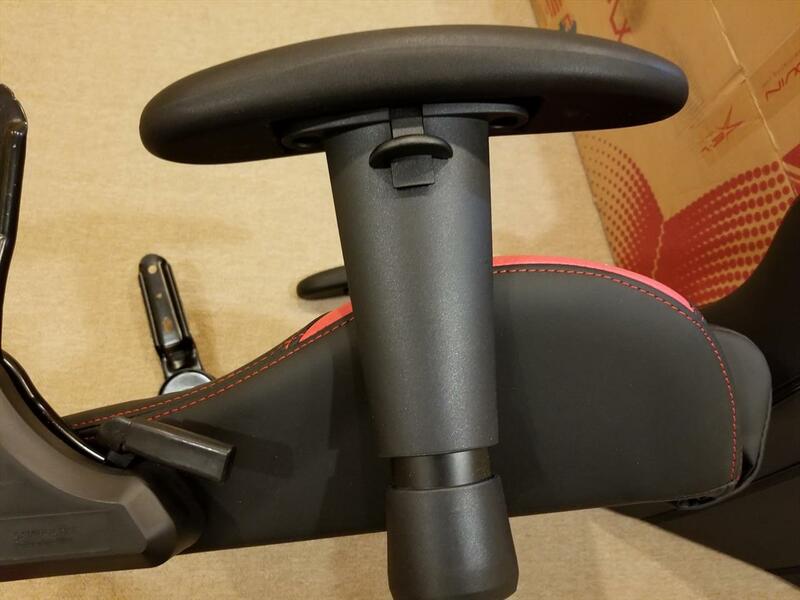 The back of the chair can tilt from 85 to 155 degrees and anything in between. 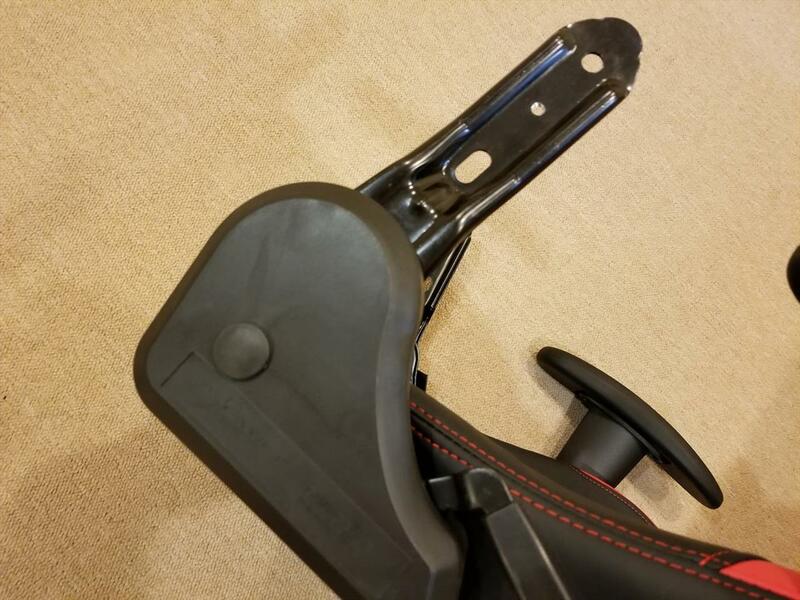 There’s a very nice strong spring loaded handle that will unlock the chair to tilt when you pull it up. At its most extreme position, you are almost laying flat, so if you feel like taking a nap in the chair, feel free to lean it all the way back and snooze away. There are two pillows in the back to aid in comfort. 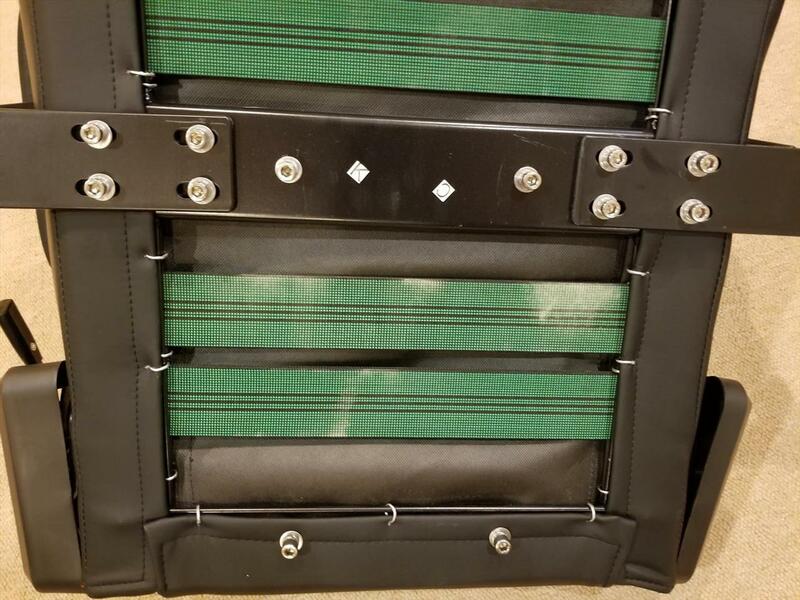 One is the lumbar support and it’s held on by two straps. 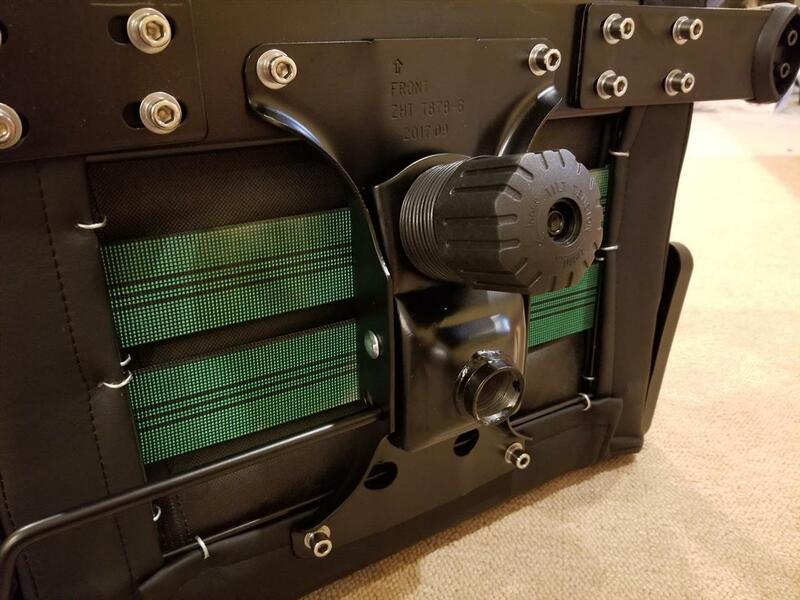 This allows you the ability to move it up and down so you can position it wherever is most comfortable. 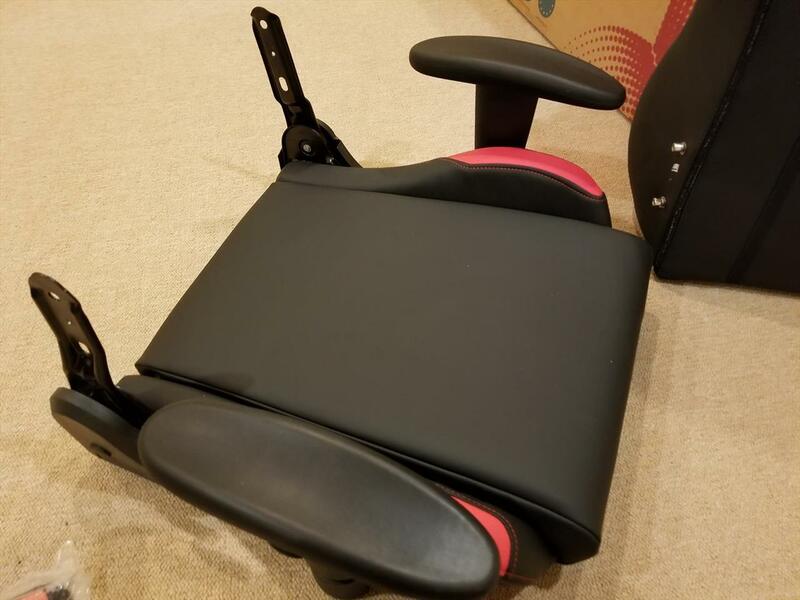 I really like this compared to my office chair with its static lumbar support as some days I like it a little higher or lower. 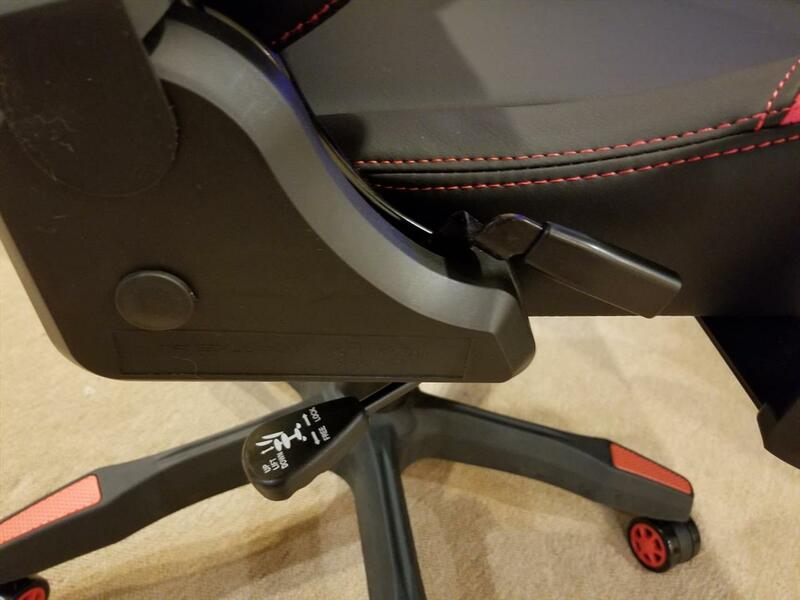 With the EWin Racing Calling chair, I can adjust it to my preference just by sliding it up or down by hand. It does a good job staying in place and once you lean back, it really doesn’t go anywhere from the pressure of your body weight. At the top of the back is a pillow for your head. 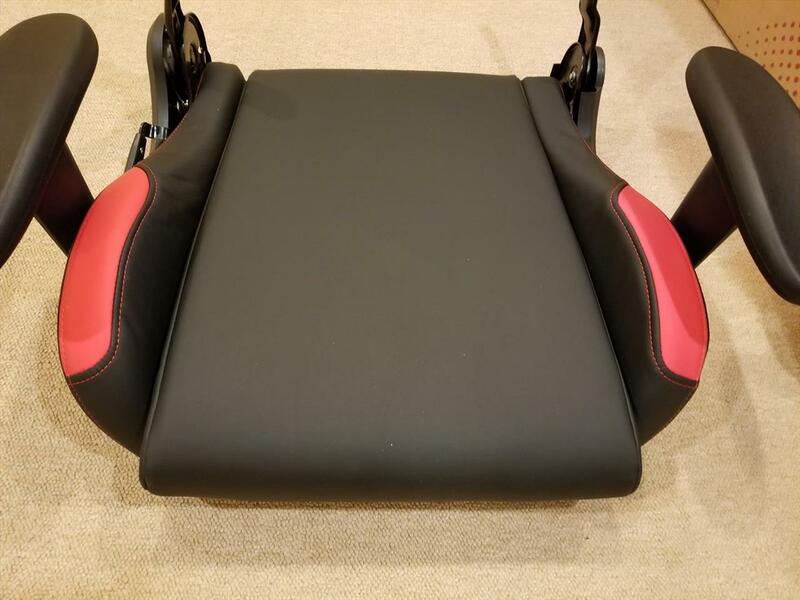 With the chair at close to 90 degrees, I was able to rest the base of my head on the pillow where it provided some great support. I have never had a chair with a neck pillow and now I see why it’s really nice to have one. 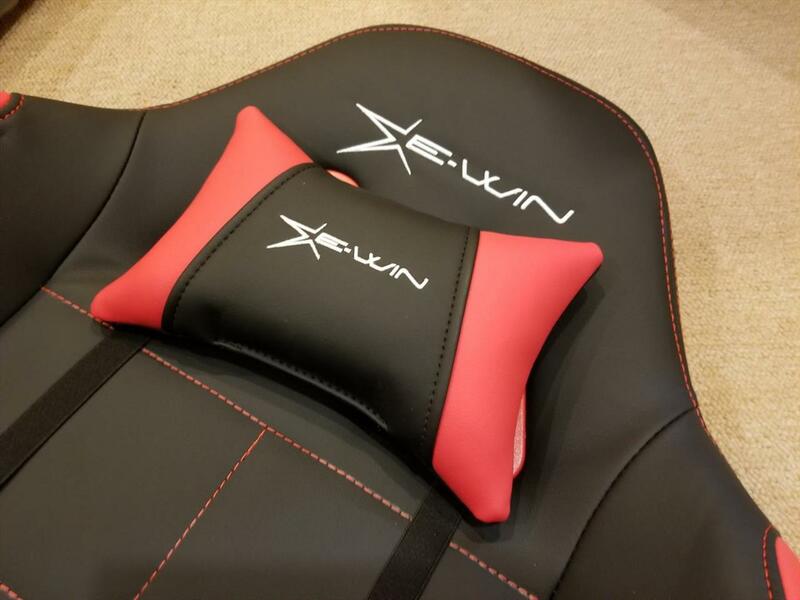 The neck pillow on the Calling seat can adjust slightly up and down as it is also attached with a strap. 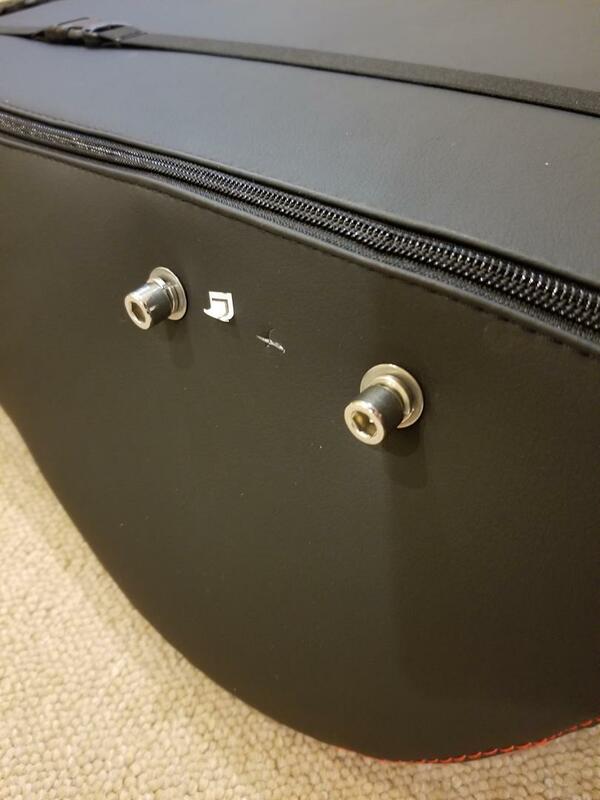 If you don’t want to use it, just take it off by unclipping it. It’s that simple. 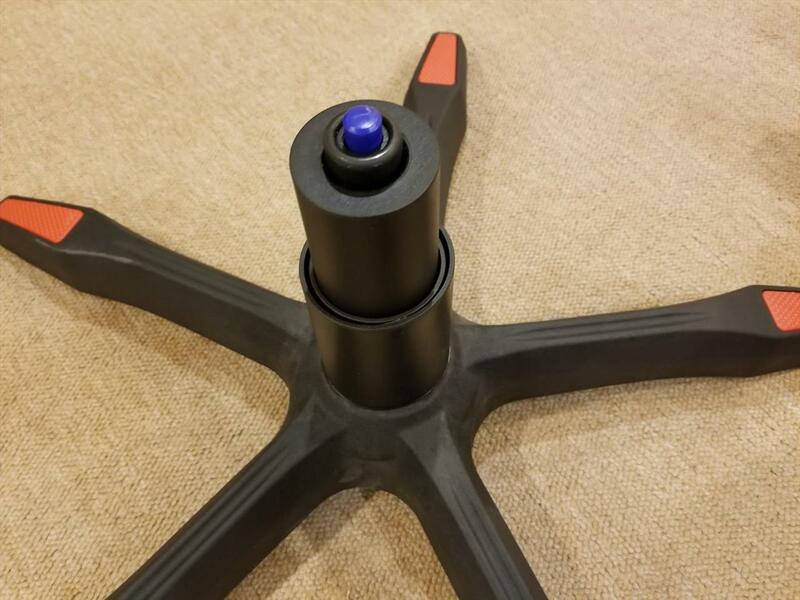 Height adjustment is done like most other chairs as you pull a level up, allowing you to adjust the gas lift piston. Oh, that piston is rated for 330 lbs., so the chair can support a good deal of weight. I’ve seen a few chairs support in the 200 lb. range, so it’s nice to see the Ewin Racing use a piston that’s rated for more support. The base features a five-star caster arrangement that’s pretty normal for most chairs. 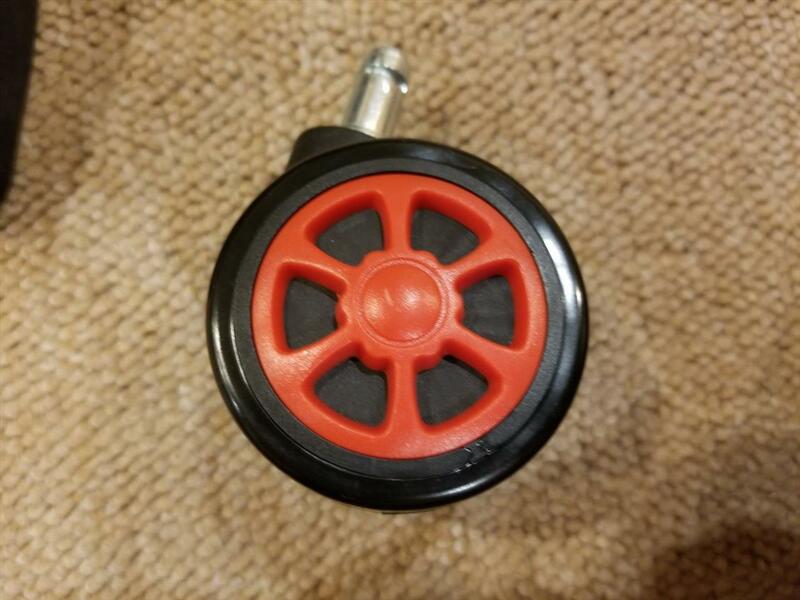 Each wheel looks like a small racing wheel with its hubcap light design, which is a nice little touch. They roll pretty smoothly and rotate without any issue. I’m 5’7″ and weigh about 165 lbs., just to give you a frame of reference. 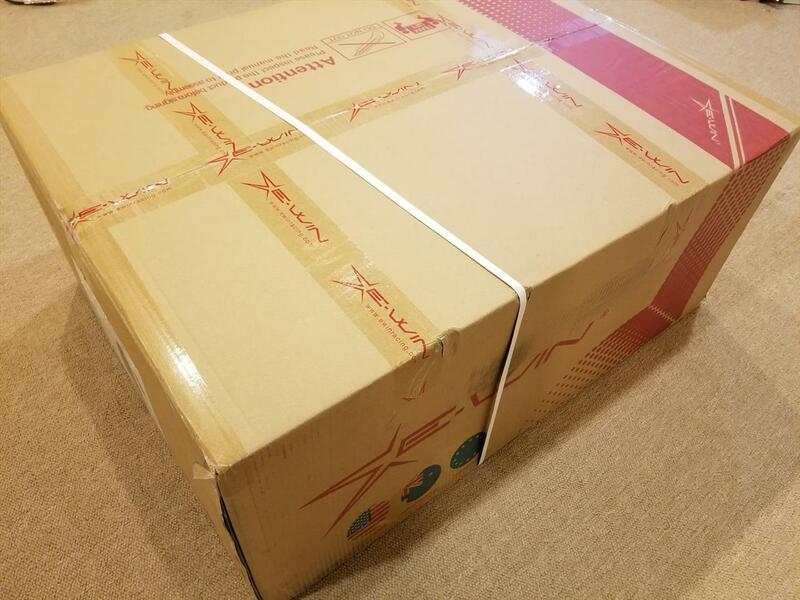 So how does the EWin Calling gaming chair compare to my nice office chair I bought a few months ago? Let’s just say I’ve given up sitting in that one and am now using the EWin chair as my primary seat of choice. 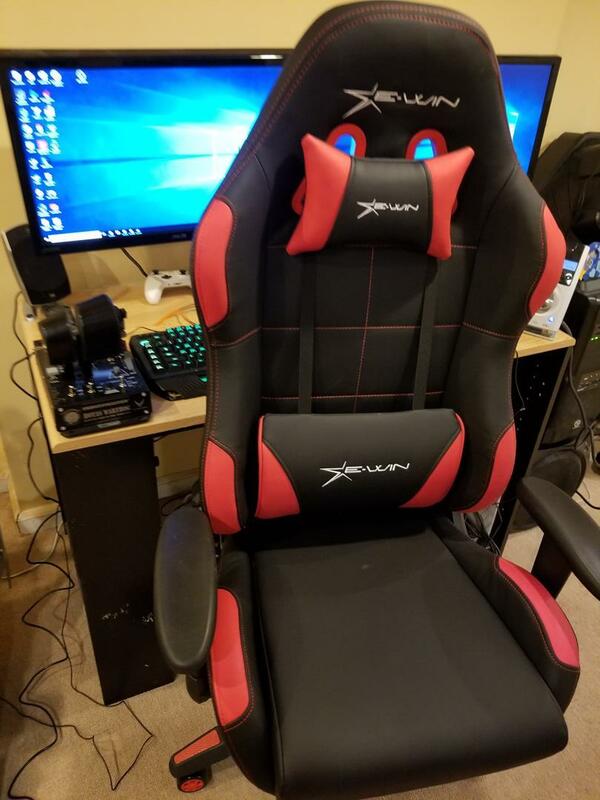 Sitting in it for some long gaming sessions, I never felt fatigued or uncomfortable, with the lumbar support making sure I set up straight and the neck pillow giving me a good support for my head. I liked how the seat felt with semi-firm foam underneath me. 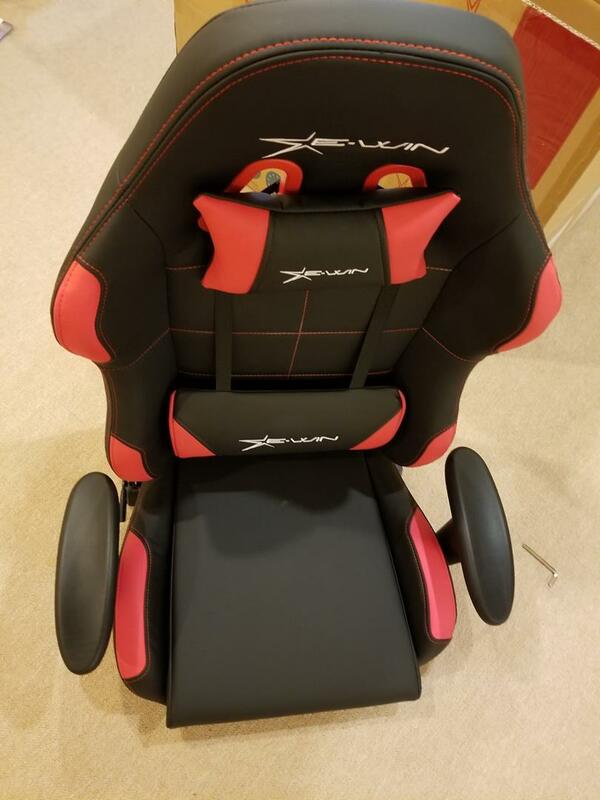 It really is a fine chair to sit in for gaming or working. 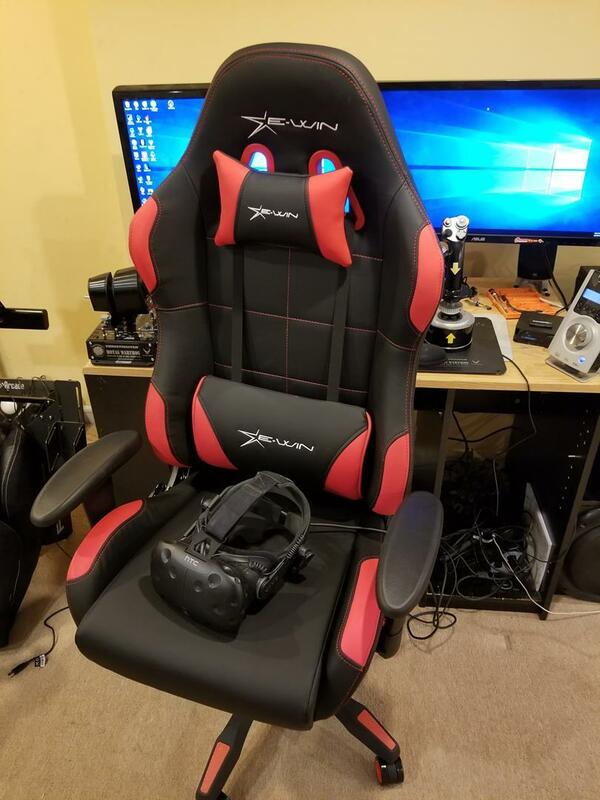 You can grab the EWin Racing Calling Series chair for $259 and you can purchase them from their website which features more in their line of office gaming chairs. 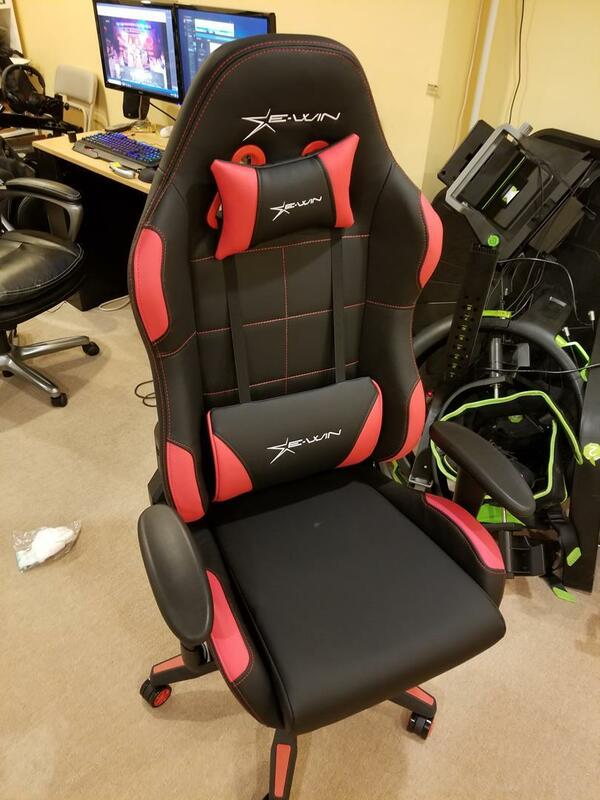 The price really sets this chair apart as well, as you get a lot that costs less than the competition. And to make it even more attractive, use the code NEXUS and you’ll get an additional 10% off. 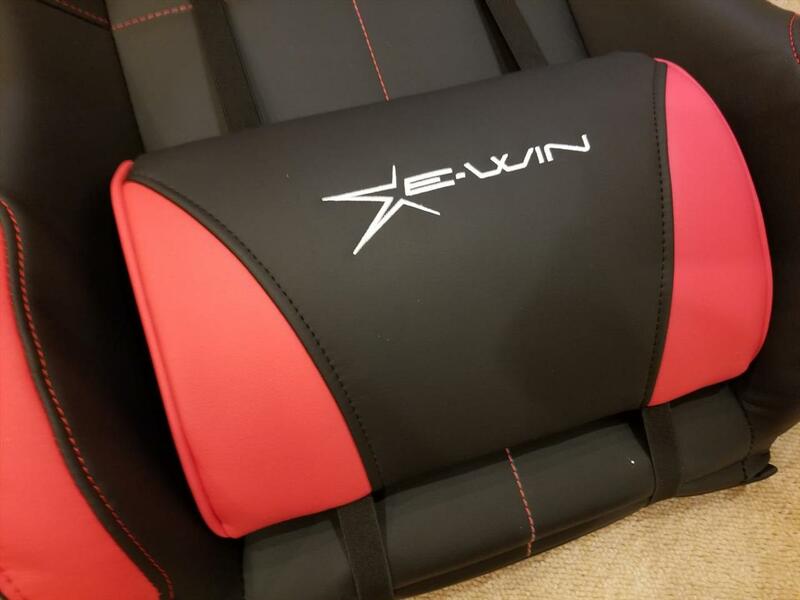 While I didn’t really know much about the EWin Racing chair before, I’m impressed with what they sent and would recommend them as a brand to look out for if you are searching for a good gaming chair. It’s a solidly built chair at a good price. While light on features, the price makes it a good buy and it’s very comfortable. 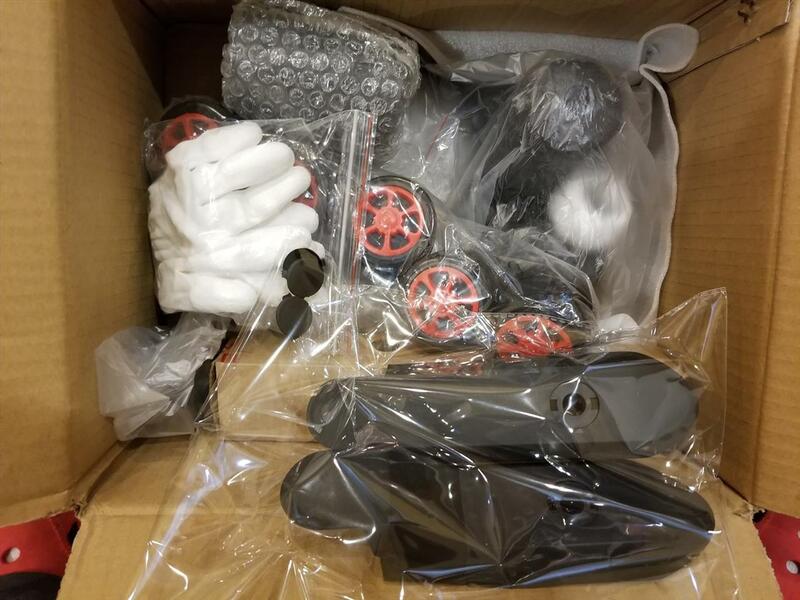 NOTE: This is a review post from GamingneXus.